Makes moving your kayak a one man job. 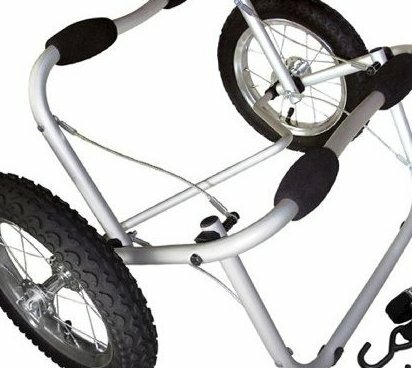 Large wheels make it easy to roll over different terrain. Includes straps and hooks. Say goodbye to dragging your boat to the water.